There is a lot of activity at the intersection of hospitality and technology in this edition of Modern Restaurant Management (MRM) magazine’s #RestaurantTech column. To submit items, contact Barbara Castiglia at bcastiglia@modernrestaurantmanagement.com. BlueCart, Inc. acquired mobile-first restaurant administration platform Sous for an undisclosed amount. Sous users will be given access to the BlueCart app and its network of industry buyers and suppliers effective immediately. Both Don J. and BlueCart CEO Konstantin Zvereff recognize that the real value in this partnership lies in giving more clients access to greater innovation. Sous users are concentrated mainly in New York City – an area where BlueCart has already seen some of its fastest growth over the last two years – and the expansion of market share there, coupled with BlueCart’s network effect growth model, gives the company a significant advantage in connecting restaurants and suppliers throughout the region with mobile-first technology. In addition, BlueCart has developed a complete and sophisticated platform for restaurants and suppliers to easily run their operations online. Features such as customized pricing for buyers, online invoicing, payment collection, and personalized e-commerce sites have been key to attracting more suppliers to the platform every day. Grubhub entered into an agreement for an all-cash transaction to acquire Foodler. The agreement with Boston-based Foodler, which is subject to certain closing conditions, will add more than $80 million of annualized gross food sales in 2017. This will expand the breadth and depth of Grubhub’s national network of more than 55,000 existing restaurant partners and 8.8 million active diners. TouchBistro raised CDN $16.3 million in Series C funding. The latest round was led by Napier Park Financial Partners and Recruit Holdings Co, Ltd with participation from existing investors, including BDC IT Venture Fund, Relay Ventures, and Kensington Capital Partners. The funding will be used to enhance and expand the industry-leading feature set in the TouchBistro iPad mobile restaurant point-of-sale (mPOS) solution, and to facilitate the company’s expansion into global markets. 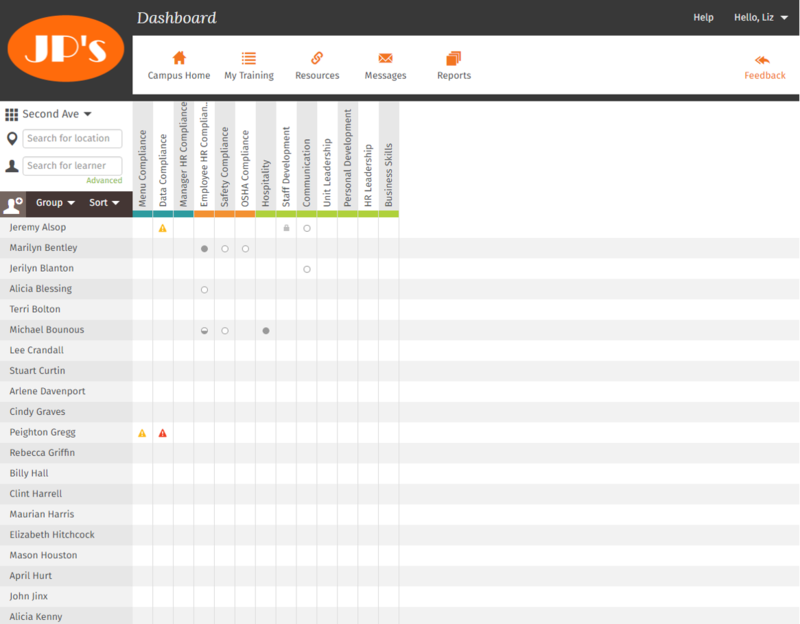 This latest round brings TouchBistro’s total funding to date to CDN $45.3 million. Mizuho Hiraguri from Recruit Holdings will join the TouchBistro Board of Directors as an observer. Napier Park is a leading FinTech-focused growth equity firm with a long history investing in payments companies. It has an estimated $7.9 billion in assets under management as of March 31, 2017. As part of the transaction, Daniel Kittredge will join TouchBistro’s Board of Directors. GCA Advisors, LLC. acted as the exclusive financial advisor to TouchBistro in connection with this transaction. Revel Systems launched Revel University, a complementary training platform to assist businesses with the setup and onboarding process for all aspects of the Revel Systems POS. The new Revel University is available for all Revel Systems customers at http://revelsystems.com/revel-university. Training videos cover virtually all aspects of setup and use of the Revel Systems POS, including how to set up a payment processor, managing employees, setting up products/menus, taxes, settings, reporting, setting up the POS terminal, POS processes such as start of day, end of day, transactions and orders, and several other courses. Poachedjobs.com launched its new Applicant Tracking System. In an industry facing 70 percent employee turnover rates and a tightening labor market, time is more than money – it’s survival. Every moment spent hunting down a resume, looking for a phone number or trying to type in an email address is a moment not spent on growing a business. Using the Poached ATS, an employer can quickly scan through a list of candidates and view their resumes, making notes and ratings. They can easily share resumes with their managers, as well as print them out, straight from the system. If an employer has a membership account, they can even schedule interviews directly from Poached. The result is less time organizing resumes and more time interviewing candidates. Together with other features like The Poached Partner Network, which promotes listings on multiple jobs boards, and Boosted Jobs, which increases a listing’s visibility and results in an average of 67 percent more applicants, the Poached ATS is just what the hospitality industry needs to stay fully staffed, according to Thornby. DiscoverLink, Inc., the leader in e-learning solutions for the hospitality industry, announces the availability of DiscoverLink Learning, a new e-learning solution designed for independent operators and small chains. 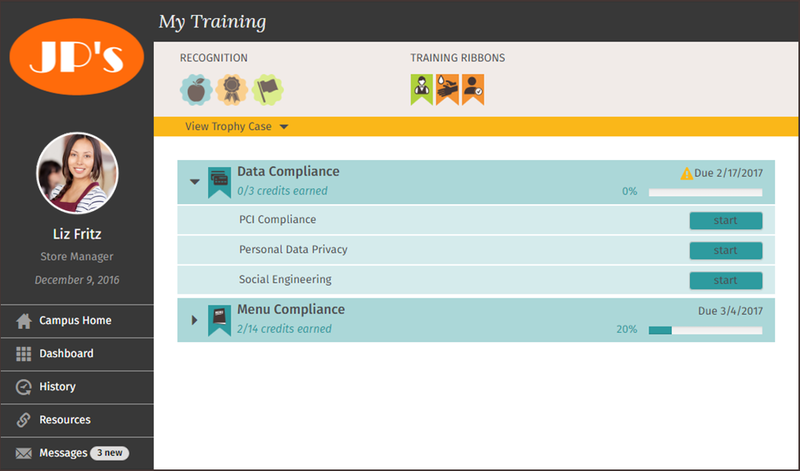 This new solution enables small restaurant businesses to improve training effectiveness, accelerate learning and reduce employee turnover by using a proven, complete training platform created specifically for restaurants. DiscoverLink Learning combines a restaurant-optimized learning management system (LMS) with its extensive library of mobile-ready e-courses, an integrated exam and checklist builder,and an inspiring employee recognition solution. Based on the technology of DiscoverLink’s enterprise solution, DiscoverLink Talent, this new cloud-based product provides a self-service platform that operators can set up themselves in just a few minutes. Independent restaurants and small chains are now outperforming large restaurant chains in terms of both traffic and revenue growth, according to a report by Pentallect, Inc., a foodservice consulting firm based in Chicago. The firm projects independent operators’ revenue to grow by 4-5percentannually through 2020, while chains are forecast to grow by 2-3 percent. However,independent operators still face recruiting difficulties, which remains a top challenge for the entire restaurant industry, according to the National Restaurant Association. “DiscoverLink’s training features employees dressed in restaurant uniforms and working in restaurant settings, so everything feels much more relevant to our learners,” said Patrick Yearout, Director of Recruiting and Training for Seattle-based Ivar’s Restaurants. Marriott Rewards has partnered with Snaps to launch a Facebook Messenger Chat Extension, making them the first hospitality brand to launch an extension on the platform. Check out the chatbot here. Marriott Rewards Travel Stickers lets users share how they’re living their #BestLife in their chats with stickers for every travel occasion. Whether they are home, the office, or somewhere in between, McDonald’s® customers in the Greater Philadelphia Region can now enjoy their favorite burgers, fries, beverages and desserts delivered right to them through UberEATS. McDelivery on UberEATS is available at 97 McDonald’s restaurants throughout the Greater Philadelphia Region. To kick off the partnership, UberEATS and McDonald’s delivered Happy Meals to children and families staying at the Ronald McDonald House on Chestnut Street in Philadelphia. Customers can now place McDonald’s orders on the UberEATS mobile app or on UberEATS.com, using the same account they use to take Uber rides and track their order, as an UberEATS delivery partner brings their meal directly to them. The full menu at participating McDonald’s restaurants will be available for delivery with the exception of soft serve cones. An UberEATS booking fee applies to each order. McDonald’s recently announced that delivery with UberEATS is expanding to additional U.S. markets following a successful pilot in Florida earlier this year: it is now available from more than 2,000 restaurants in the U.S. and will grow to 3,500 by the end of June. Delivery is just one way that McDonald’s is enhancing the customer experience through added convenience. McDonald’scontinues to transform the restaurant experience through the addition of self-order kiosks, table service and digital menu boards and will roll out mobile order and pay across its 14,000 U.S. restaurants later this year. 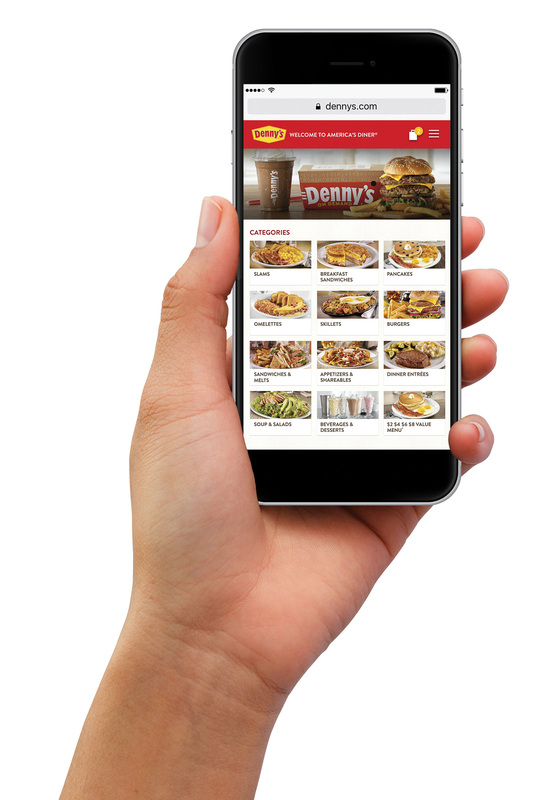 Denny’s debuted ‘Denny’s on Demand’ ordering platform, offering guests a quick and easy way to place a mobile or online order for takeout or delivery* of their favorite menu items. Whether it’s pancakes by the pool, burgers on the beach or coffee on the couch, Denny’s is bringing the diner right to your door, 24/7. 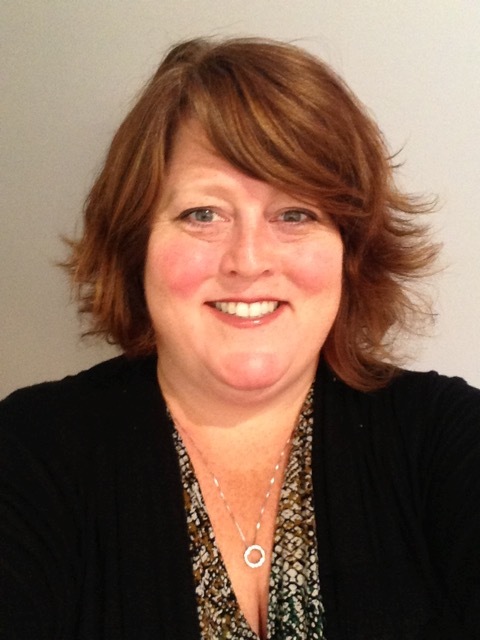 FoodLogiQ announced the addition of Julie McGill to the role of Director of Implementation and Strategic Account Management. As food companies face mounting demands for traceability and supply chain visibility, this newly created FoodLogiQ position will support their needs and increase their speed to value. McGill previously worked at GS1 US for over 16 years on various teams including Global Data Synchronization Network (GDSN) implementation services and global account management. She also led the Foodservice GS1 US Standards Initiative for more than sevenyears, working with manufacturers, distributors, operators and supply chain partners to increase efficiencies and build a foundation for traceability and supply chain visibility through the use of GS1 standards. Delaget, LLC, the only data analytics and business process outsourcing experts focused on the QSR industry, today announced the signing of 19 new KFC franchise customers who have licensed Delaget Guard, its loss prevention software focused on reducing employee theft and error. The new signings come on the heels of the KFC Technology Committee’s successful completion of a 120-day pilot of Delaget Guard. The Hodges Management Group, a 30-unit KFC, Taco Bell, and Dairy Queen franchise, is one of these new customers. “Delaget Guard gives me an easy way to see what’s happening at our restaurants. Using the software, I found managers who were doing refunds that weren’t legitimate – they were just pocketing money. In fact, one of the employees we caught stole to the tune of around $4,000,” said Bobby Bange, an Above Store Leader at The Hodges Management Company. Jason Zakaras, owner of Zak Foods, a 27-unit KFC franchise, decided to partner with Delaget because of how easy the software is to use. “We wanted to go with Delaget because I know how robust their tools have become. It was a no brainer for me because I know Delaget is a world-class resource for our teams and they provide a very intuitive solution,” Jason said. “Because Delaget Guard has been tested and proven by KFC corporate, franchisees can be confident that it’s going to work in their business and help them improve margins. We’ve seen a tremendous response so far, which is exciting to see because it means that the software is really making a difference,” said Dave Sandhoefner, Delaget’s Chief Revenue Officer. Glance Pay has signed with one of Canada’s leading hospitality companies, The Donnelly Group. The Donnelly Group is an award-winning hospitality company, operating in both Vancouver and Toronto. “The Donnelly Group understands what instills our competitive advantages and mobile payments, well done, is simply a demand of the times. We are excited to partner with Glance Pay and provide a mobile payment solution,” says Reid Ogdon, VP Operations, The Donnelly Group. “When you look at popular culture today, The Donnelly Group sets the stage for innovation and a remarkable foresight to give guests an incredible experience at each of their venues. Leading the industry, with over eighteen years in business, Glance Pay is extremely proud to work with The Donnelly Group and speak to their core values of providing guests with a superior product, service, design and community with a collaborative approach. The Glance Pay solution aligns with these important ideals,” says Desmond Griffin, CEO, Glance. One Network Enterprises today announced the immediate availability of the latest version of its Real Time Value Network™ (RTVN). RTVN version 18.0 delivers on the Company’s vision to provide intelligent consumer-driven business networks to organizations across a wide range of vertical markets, including Retail, CPG, Electronics, Automotive, Defense, Pharmaceutical, Healthcare, and Logistics Services. Key innovations in this release include intelligent end-to-end demand sensing and supply orchestration workflows for restaurants and retail chains, improved inbound supply planning across multiple tiers, and enhancements to global logistics, and predictive capabilities for the automotive industry and other industries, and advancements in Defense Industry solutions. Restaurants and Retail Chains: As the industry’s first end-to-end, intelligent network solution, V18.0 spans store ordering, replenishment, transportation, allocation, and integrated business planning tailored for restaurant and retail chains. V18.0 continuously senses and learns POS demand and adjusts store forecasts. It translates to, and orchestrates, needed replenishments of purchase items even in constrained supply situations, to maximize customer service, maintain store in-stock and minimize purchase/logistics costs. Fract’s artificial intelligence solution helps retailers and restaurants understand market conditions and offers actionable insights to optimize existing or prospective stores Fract, provider of the first geospatial artificial intelligence platform for retail, has been selected as the winner of the Spring 2017 Virtual Pitch Event from the Center for Advancing Retail Technology (CART). Panelists representing more than 18,000 retail stores selected Fract the winner over several hundred other innovative applicants. Fract’s innovative AI platform solves one of the retail industry’s most critical problems – helping retailers and restaurants understand market conditions and improve the performance of existing or proposed locations for retail stores, restaurants and other businesses. With more than 8,600 retail locations projected to close in 2017 according to Credit Suisse, retailers and restaurants urgently need new solutions to optimize store performance and better understand market conditions for each location. Fract customers typically see an immediate ROI of 20 percent for decisions such as time to market, with reports available in 1 minute instead of six weeks (with traditional processes). In one case, Fract identified that a retail location could boost revenue by $10,000/month by simply adding two additional parking spaces. Fract has also identified scenarios in which retailers can increase revenue by a minimum of $500,000 in a market by increasing market share. Theater announced that Verlin Youd has joined the company as Theatro’s Senior Vice President of Global Sales. He brings more than 20 years’ experience in the retail industry and software solutions space, having worked with some of world’s leading retailers and retail solution providers in various executive positions. In his new role, Youd will continue to drive Theatro’s rapidly expanding customer base in retail, hospitality and manufacturing, both in the U.S. and in international markets. Youd most recently served as Managing Principal of Retail at Verizon Enterprise Solutions, where he was responsible for overseeing Verizon’s top retail accounts and delivering solutions to drive optimal customer experience, business growth, operational efficiency and risk management. Prior to his time at Verizon, Youd held senior executive positions at a number of innovative retail solution providers, including SCOPIX, SAP, Motorola, IBM, and Systech Retail Solutions. The newest creation from Yatra’s line of cutting edge technological products, UNiCHARGE™, is already in use at nationally known restaurants, including STK Vegas, Chicago Cut Steakhouse, Prime and Provisions, Gibson’s, and Tavern on Rush. Each power bank comes with built-in detachable Lightning and Micro USB cable, and are individually equipped with USB ports that allow users to not only charge, but to independently connect to their other devices too. The incredible quick charge technology, equips the charging stations with 8 4000mAh lithium polymer batteries, that can power any smart device from 0-70 percent in less than 30 minutes. Another feature is their Luna Pulse Technology, theft protection. Combined with GPS technology each battery is only allowed to be charged by the base station, giving restaurantuers peace of mind. • Custom Branding Options – Companies can fully customize and display their own logos, names, and designs, as every UNiCHARGE™ comes backlit, illuminating your brand! • Compact – Each charging box contains 8 ultra-slim power banks that easily fit on countertops or host stands. • Universal – Each power bank comes with built-in detachable Lightning and Micro USB cables, individually equipped with USB ports that allow users to not only charge, but to independently connect to their other devices! 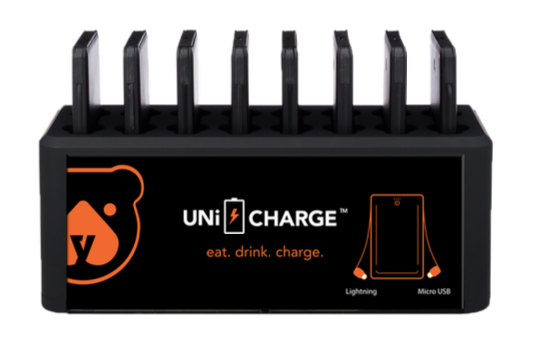 • Convenient – Now guests are drawn to your brand, and the environment you are providing to them, as every UNiCHARGE™ is fully adaptable, eliminating the need to spend time looking for open outlets, keeping customers in-house. PG Cash Drawer added Robert Banker to the position of Director of SMARTtill® Technology Sales. In his role, Banker will lead the US sales and strategy around the innovative new SMARTtill® Solution to retailers throughout the United States. Based in the Boston area, Banker is a retail technology veteran with extensive experience in solution sales of retail technologies. Prior to joining APG, Robert led the sales efforts around a variety of software solutions for companies including Toshiba Global Commerce Solutions, IBM and Tyco Retail Solutions. These solutions included Semi-Integrated Payments, Promotions and Loyalty, Omni-channel Point of Sale, and Loss Prevention Analytics. Throughout his career, Robert has been partnering with retailers across the country to help them solve critical business issues.